For years, the “tough on crime” lobby has won the day in Tallahassee, often shooting down common sense measures that would serve justice and make the punishment actually fit the crime. Instead, we’ve got mandatory minimums and the judges hands are tied when it comes to sentencing. That may be changing. State Senator Jeff Brandes has been a proponent of common sense criminal justice reform for years but this year he has the political muscle behind him to make some things happen. Republican Governor Ron DeSantis has already signaled he’s in favor and so has Attorney General Ashley Moody. One example, raising the felony theft threshold from $300 to $1,500, but that proposal now has support from Governor Ron DeSantis. “I don’t want some 15-year-old kid to do something stupid, but doesn’t mean he’s a bad kid and then end up with a felony because he stole a bicycle or something that cost $305,” said DeSantis. 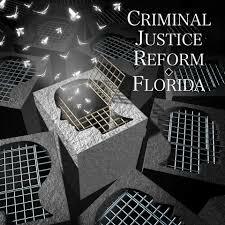 Florida’s Attorney General Ashely Moody also says the state needs to improve its criminal justice system. Her focus is primarily on mental health. Some of Brandes’ other proposed reforms include giving judges discretion in mandatory minimum sentences for drug offenses, allowing courts the option to set no bail for low flight risk offenders who can’t afford to pay and allowing prisoners who enroll in educational programs to have up to 60 days removed from their sentence. With the passage of Amendment 11 in November, lawmakers will now have the option of applying sentencing changes retroactively. This is a positive step in the right direction for a state which for too long has taken a cookie cutter approach to criminal justice. People are more complex than that and so are the issues confronting them. It’s about time our elected officials realize that and do the hard work necessary to achieve justice and maintain public safety rather than taking the easy way out by being “tough on crime”.